A spokesman for Kensington Palace confirmed that plans were being explored by palace officials and management at Historic Royal Palaces. He said Diana's sons, the Duke of Cambridge and Prince Harry, were being kept "informed" about the garden project. A spokeswoman for Historic Royal Palaces said: "Our plans are still at the earliest stages of development, and we're recruiting for staff to help us explore the possibilities." Let us hope it is not tacky like that dreadful fountain trough thing they built for her years ago. That is horrendous, and there were many problems with it, went green with mould etc. It is a very nice idea and would be very nice to be realized. The memorial garden will be called The White Garden. The flowers will include white roses, narcissi, and forget me nots. I always got the impression that the Spencer family wanted something permanent. Didn't HM say to Earl Spencer something along the lines of "satisfied now?". To which he replied he was. But maybe a garden or play area in Kensington Park would be more appropriate maybe? Don't know London that well apart from Virginia Waters area. 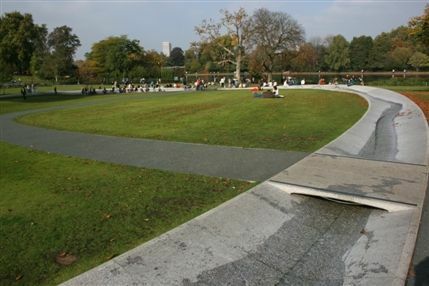 There already is a play area in Ken Gardens nearby the Diana Memorial. The garden sounds lovely if that happens. When was that with the "satisfied now"? Would love to hear the tiffs behind closed doors, must be quite something to witness..
just how many memorials is there a need for? I've searched and searched for the clip on you tube but cannot find it. It was one of those lip reading videos where HM asked Earl Spencer "Satisfied now?" . To which he replied "Yes Ma'am". But I just cannot find it on YouTube anywhere. I fear it may have been removed. But she definitely did say it to Earl Spencer (ES). It supposedly ended the rift between the 2 families. Although I don't think there's much love between them anyway, especially after ES said at PD's funeral that referenced William and Harry's "blood family". Who did he think fathered his sister's children? Merlin?! What a slap in the face for their father Prince Charles. Was he saying PC was not their father?! Disgusting. I even thought so at the time. Both sons look like Charles, of course he's their father. It's never a good idea to bash the other side of the family, especially in public.